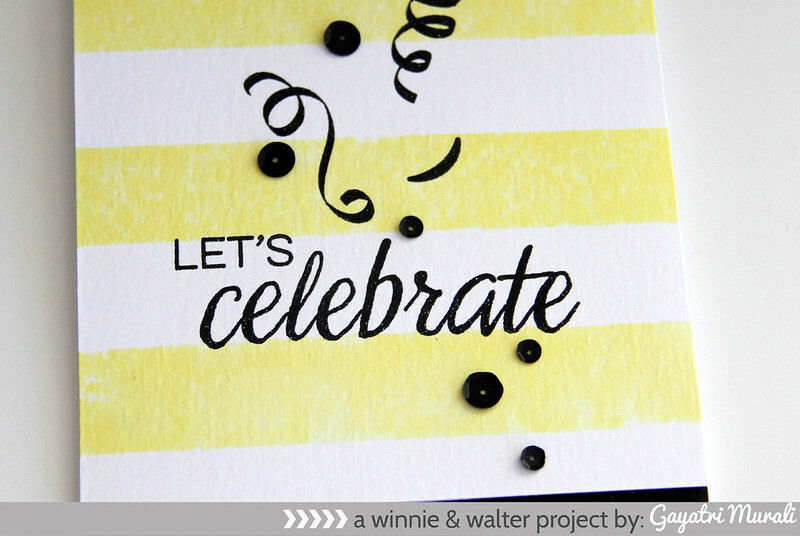 Welcome to Day #2 of Winnie & Walter 1st Birthday new release. Today we are premiering Stripes stamp set, In a Word Cutaways and Essentials: Katharine Cutaways. 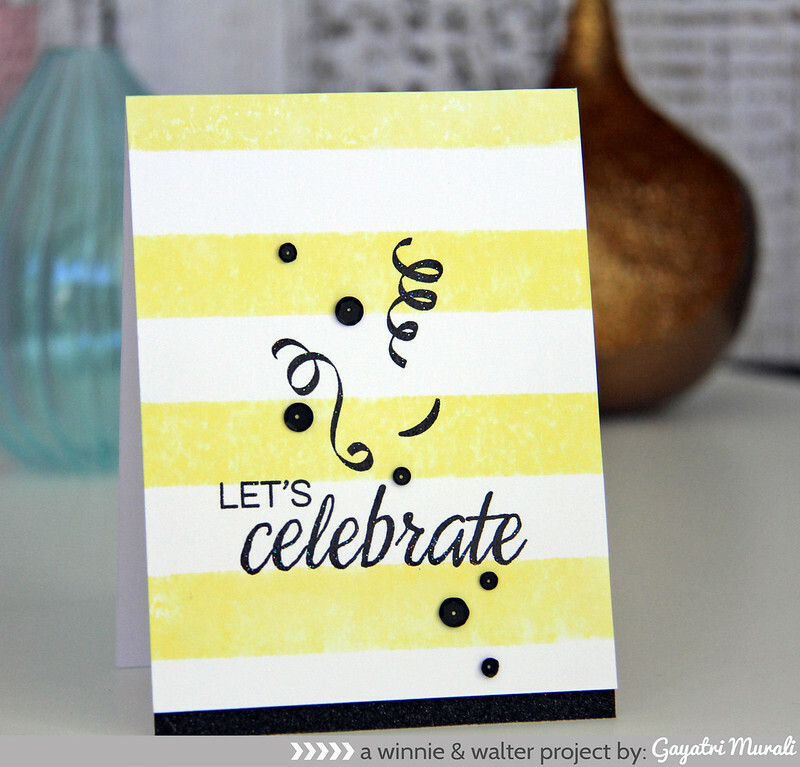 I have used Stripes stamp set on my card below. I have used the thickest striped stamp from the set, inked it with Squeezed Lemonade distress ink, misted with water and stamped on watercolour paper to create the subtle striped background. I them stamped and heat embossed the sentiment and other images which are from another set premiering in couple of days. And accented with Onyx black sequins from Pretty Pink Posh. 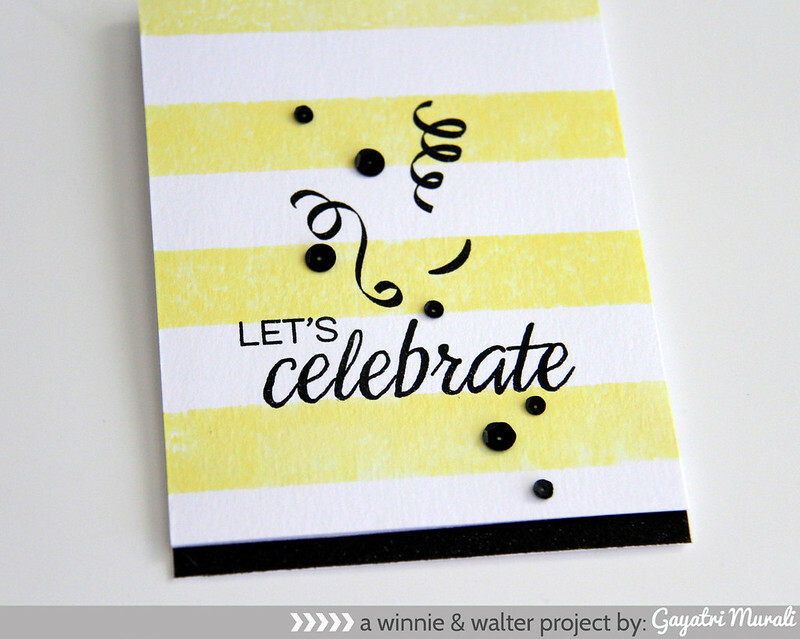 If you like the Stripes stamp set and the new cutaways, then comment on Winnie & Walter Blog to enter a chance to win. See you tomorrow for day #3 of the release! WONDERFUL card!!! Those colors are gorgeous! This is beautiful! I love the yellow you've used here…so cheery! Love the simplicity of this Gayatri and the pretty colors! A fun and festive card!